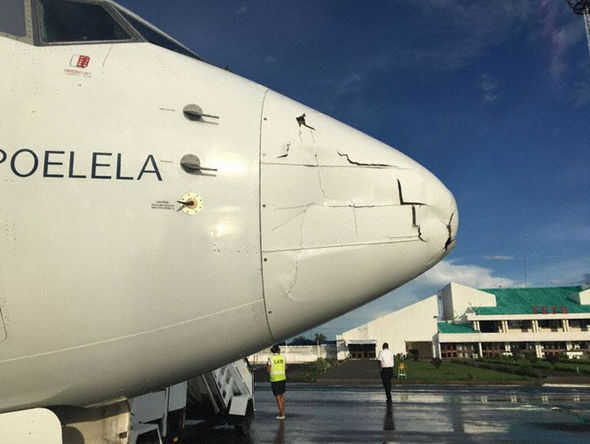 A DRONE has crashed into a Boeing 737-700 passenger plane, causing extensive damage to the giant jet as it came into land at Mozambique Airport. The Boeing 737-700 collided with the drone as it approached the city of Tete in Mozambique. Linhas Aéreas de Moçambique (LAM) owns the aircraft, which was carrying 80 passengers and six crew on board. LAM Flight TM136 was travelling from Maputo in the south of the country. 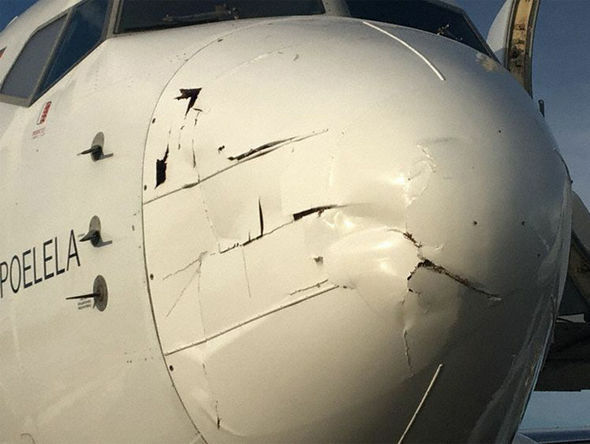 The drone caused extensive damage to the right side of its nose dome and fuselage, but the plane was able to land safely, with no injuries reported. Images have emerged from the tarmac where the plane landed – revealing the dints and cracks formed by the collision. The airline said in a statement that the crew were made aware of the incident while still in the air. Passengers were transferred to their next destination by another plane. Repairs were carried out on the tarmac to fix the jet’s nose and fuselage. It is not yet known who the drone belonged to or how it made its way into airspace – an investigation is underway. If the object is confirmed as a drone, it would be one of the first remote-controlled aircraft worldwide to collide with a passenger jet. 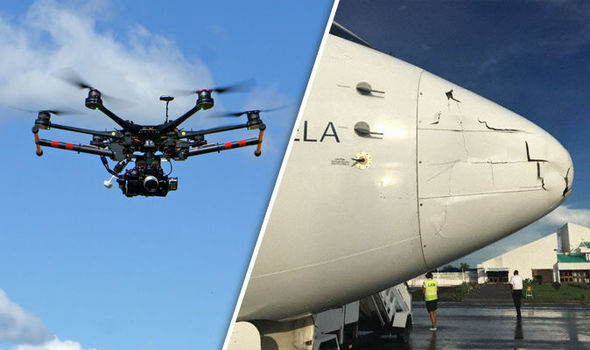 In November an accident between a drone and an airbus over London was narrowly avoided. The drone came within metres of causing a serious disaster after narrowly missing a passenger jet near the Shard. The Airbus A320 was 200m east of the skyscraper – the tallest building in western Europe – when the drone reportedly flew around 20m away from the aircraft. The plane, which had up to 165 passengers onboard, was about to land at Heathrow Airport when the pilot spotted the unmanned drone through the cockpit window. The crew watched as the black object, which is believed to have measured around 50cm across, hovered over the aircraft’s right wing before moving towards the plane’s tail.